Olacabs has emerged as the fastest growing startups in the Indian market. It is the result of brainstorming idea of 2 IITians Bhavish Aggarwal and Ankit Bhati. They set up the firm in January 2011with its operation limited to Mumbai only. Now it is the largest cab-booking service provider in India and provides service in around 100 cities. They offer the service with almost 4,000,000 cabs across the country with a variety of car options like Mini, Prime and Luxury. Different payment modes are provided to the customers for their ride. The ultra-growth, enthusiasm and tremendous plan of expanding the service to 100 cities till 2015 may be the reason which attracted Japan’s richest man, Masayoshi Son, the chairman of telecom and media group Softbank Corp, to invest in the company with an investment of $210 million. With its super fine services and use of technology, the company’s revenue has reached at $1billion. 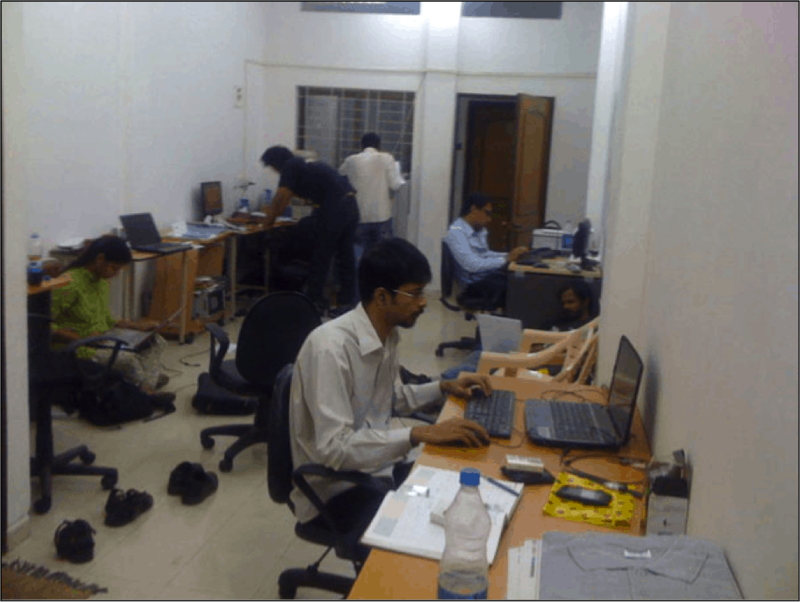 More than 400 employees are working under the roof of Olacabs. 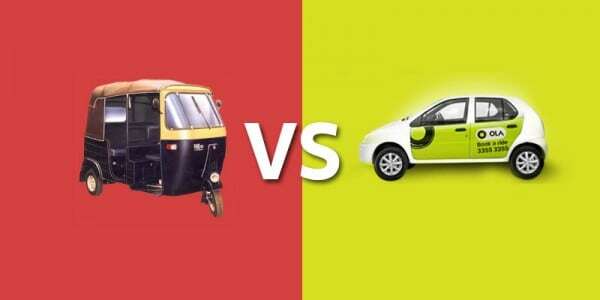 Ola Cabs acquired its minor competitor TaxiForSure, in a $200million deal in early march this year. The firm raised earlier rounds of funding from Tiger Global, Matrix Partners India, Steadview Capital and Sequoia Capital. In its initial round of funding, it raised an amount of $330K in 2011. It then received $5million in series A funding, $20million in series B funding, $41.5million in series C funding and then recently $210million in series D funding in October 2014. After then, on April 9, 2015 Olacabs raised $400 million funding from DST Global and others. Ola is in mood to expand in more and more cities. That’s the reason for investing much on technology, security, and new offerings. Olacabs acquired TaxiForSure on 1st March, 2015 for about $200 million. 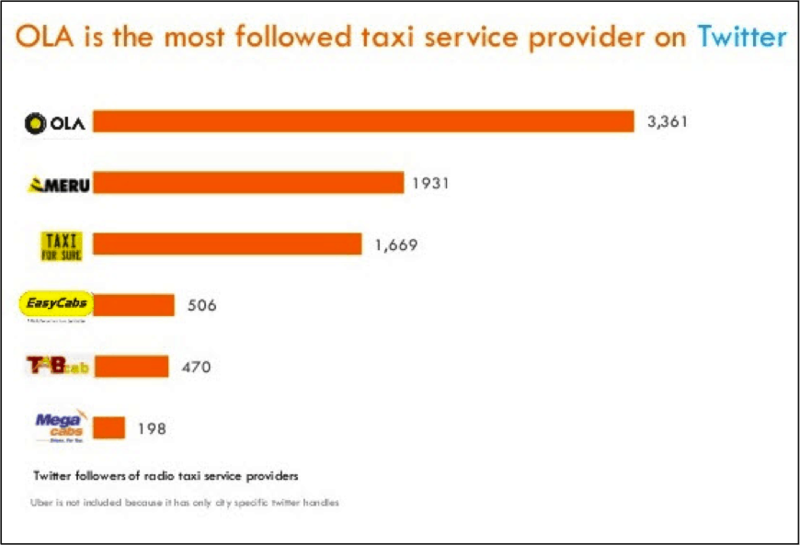 Ola Cabs is on the top of the social media share of voice among all the radio taxi service providers in India. 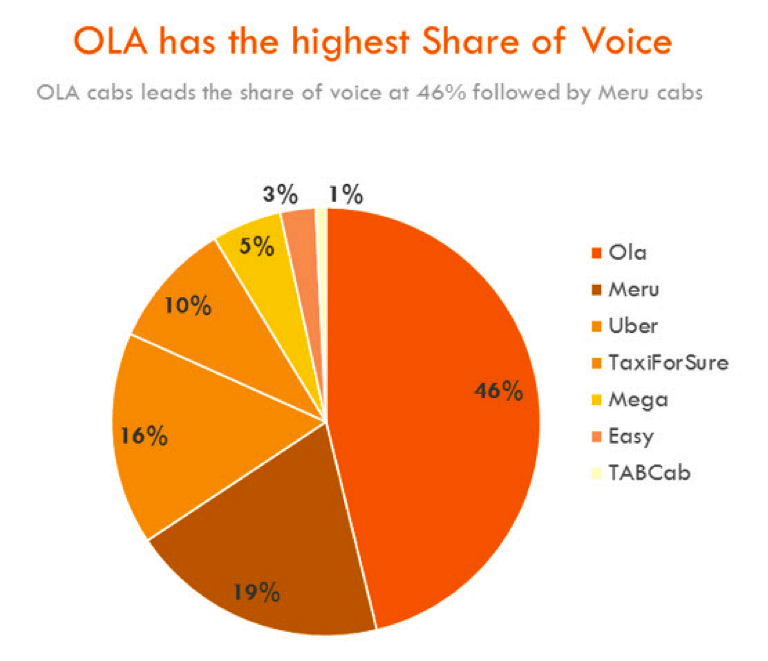 Ola Cabs has 46% share of voice which is highest in all followed by Meru Cabs with 19% share. It has over 2lacs fans on Facebook and over 18.2K followers on Twitter. 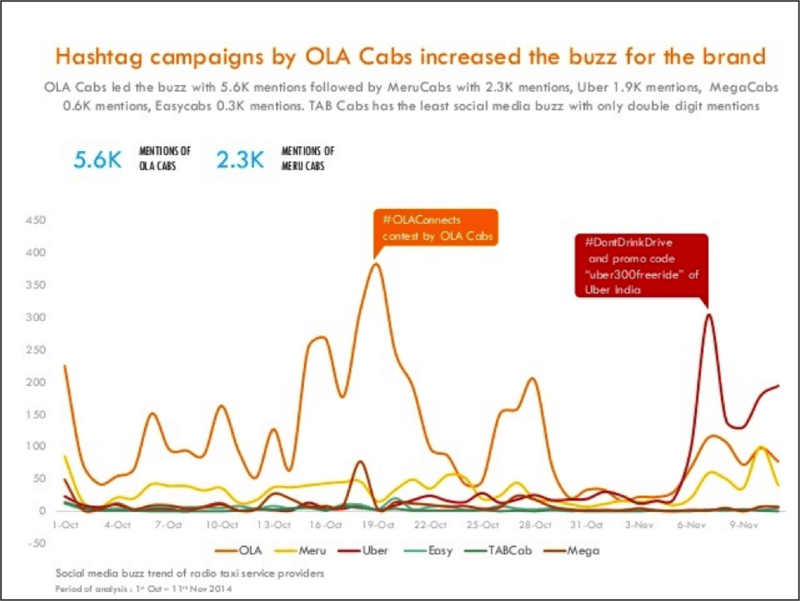 Olacabs are very much active on their social media platform like twitter, Facebook, linkedin, instagram and any more. They engage their customers on their site through lots of lucrative offers. Started in January 2011 by two IITians, the firm is touching a milestone by providing cab booking service to their customers. The journey of Olacabs started from the time when at a time, the founder Bhavish Agarwal was thrown away from a taxi while travelling to his destination after refusing to pay a renegotiation demanded by the driver. This incident hammered in the mind of Agarwal and he decided to develop a platform for booking a taxi/cab so that other people may not face the same problem. He started implementing his ideas and created the base and then after his classmate Ankit Bhati joined him in the venture. They both implemented their ideas to make Ola better and better. Soon after they received series A funding of $5million from Tiger Global. After that they raised funds from many other investors and make them believe on themself. A series of investment in Olacabs has raised their total funding to $677millions. The rate of increase in their customers shows that they are the leaders in current market trend and others are far lagging behind. Their facebook fan page and twitter page are the live example showing its craze.